After two Virtual Console-less weeks, the service returns with a bang with another title from Square Enix. It might not be one of the most fondly remembered games they've made, but the more the merrier! It's accompanied by a few interesting WiiWare and DSiWare titles. Robox (1000pts, Dreambox Games) – This week's only WiiWare title. From what we've seen, it's a nice-looking action platformer with some interesting ideas. We'll review it over the next few days. In the meantime, why not read our Dreambox Games interview? Mystic Quest Legend (800pts, Square Enix) – A spin-off of the Final Fantasy series, even called Final Fantasy: Mystic Quest in North America, it's geared more towards players new to RPGs, with a generally pretty low difficulty level. We'll have a review soon. GO Series: Defence Wars (200pts, Gamebridge) – The second title in the GO Series, an effort to release Japanese DSiWare games elsewhere. In this one, you take control of a large army of soldiers on the bottom screen of your DSi, as you attempt to defeat wave after wave of enemies coming at you from above. We'll give our thoughts soon. Music On: Learning Piano (200pts, Abylight) – The fourth Music On game, this one clearly focuses on the piano. You can see what we thought in our Music On: Learning Piano review. My Exotic Farm (200pts, BiP Media) – Another chunk of a 2-year old browser game. Again, it's a simple little game in which you manage a farm. It's still not too bad, as you can read in our My Exotic Farm review. Noting for me this week, unless Robox is really, really, really good. I wonder how Defense Wars will stack up to Army Defender; if it avoids the pitfalls of AD I may consider getting it when it comes to NA. Hmm. Not bad for Europe Robox looks good. Grrr. I want Mystic Quest but have no monies. awesome i love mystic quest can't wait to see this october 4 th in us(my guess) the most underated ff game ever ftw! Congrats on the VC game, Europe! I might get FF mystic quest but I'll wait for the review. How about that, a halfway decent week. Too bad its Europe. I usually ignore the Nintendo Downloads for Japan and Europe since I don't live in those areas. But when I looked at the picture for this article, I suddenly remembered the game I played many years ago on my SNES. Final Fantasy Mystic Quest. I never even expected this to come to the VC since it's a pretty obscure title. Now, this game is decent at best. It's too easy, the dialogue is cheesy, and just not great in general. The only reason for me to get this game again when it comes out for the US VC is the music. It's fantastic and the most memorable part of the game. Though, thanks to the other parts of the game, I will not get this and just download the music online (which I have). @Link-Hero: "Now, this game is decent at best. It's too easy, the dialogue is cheesy, and just not great in general. " Agree 100%. People should not download this expecting a real Final Fantasy experience. It's not a terrible game, but it's not challenging at all. Mystic Quest huh? Might get it depending on the review. And if we get it over her. That little detail. 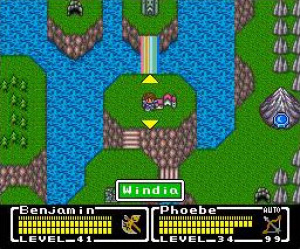 Mystic Quest was actually really good as an 'entry level' JRPG...in 1992. Nowadays there's a lot fewer folks that haven't experienced the genre as well as some better 'entry level' JRPG's to choose from. If you're like me though and can't get enough of JRPG's from that era it's still worth a play even if it is easy. I have played Mystic Quest (also known as Final Fantasy Adventure in US) on the Gameboy which is a total Zelda rip-off. But a good one. Has Mystic Quest Legend on the SNES anything to do with the Gameboy Game? Is it also a Zelda clone? I have played Mystic Quest on the Gameboy which is a total Zelda rip-off. Not even close. Its just of the same genre. Besides which, it was created in Japan before A Link to the Past so the only Zelda game it could "rip-off" would have been the first one which clearly isn't the case. The sequel to this game is Secret of Mana on the SNES if you didn't already know. Has Mystic Quest Legend on the SNES anything to do with the Gameboy Game? Is it also a Zelda clone? Nope and nope. Final Fantasy: Mystic Quest was created solely by Square of America back in 1992 wheras Final Fantasy Adventure didn't get called Mystic Quest until its European release in 1993. Final Fantasy: Mystic Quest is also a turn-based RPG like the Final Fantasy games. Just much easier. No downloads this week for me or for ages, i am still waiting for Cave Story! I am fed up waiting to be honest. (i will not play the P.C version as i want it for the WiiWare). @Bass: So the SNES Mystic Quest is turn-based like the other Final Fantasy games whereas the Gameboy game is just like Zelda. Ok, good to know. Thanks for clearing that up. Go Series always looks interesting. Zelda rip-off huh? Must be good! Hey guys, you missed out Petz Cat Superstar and Petz Dog Superstar. I hate you, DSiWare. If Square made any sense, Mystic Quest would've been on the VC AGES ago. I figure if there's one system on which an entry-level RPG might be appreciated, it's Wii. That's assuming the gamings newbs can figure out the whole VC thing at all. Anyway, I'll give this a download when it hits in America. It's easy, sure, but sometimes, that's just what you want! 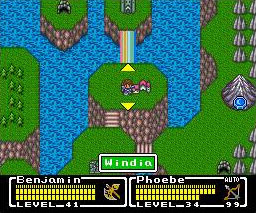 Plus it has no random battles, which was VERY unusual at the time of its release. @LuWiiGi Those crappy games are out next week. A lot of people may not know this but Robox is the 200th WiiWare game in Europe.